Wedding trees will be “on the double” this weekend when a York city centre hotel hosts its first wedding fair. 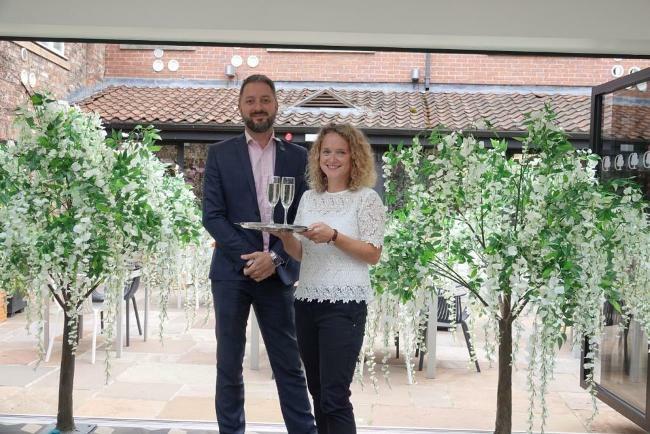 Sunday’s event at The Doubletree by Hilton York – which coincides with the venue’s first anniversary – will feature a host of leading local wedding suppliers from the city, including decorative trees courtesy of Limelight Wedding Trees. Taking place between noon and 3pm, the first 50 brides to pass through the doors will receive a free goody bag, whilst everyone attending the Double Tree by Hilton York’s wedding fair will be given a free glass of fizz and a hog roast. In addition to the decorative trees, the event will also feature pre-loved wedding dresses courtesy of Oxfam, florists, photographers, jewellers, wedding cake specialists, entertainers and luxury wedding car suppliers. Nikki Brannan, DoubleTree by Hilton York sales manager, said: “This is our first wedding fair since we became a DoubleTree by Hilton, following our second major £3m refit in two years. “Sunday’s event will see some of the city’s finest wedding suppliers coming together under one roof. It will be a great opportunity for couples looking to tie the knot to see the fantastic businesses there are in the York area to ensure their big day is the best possible. “And, of course, they will also be able to see what we have to offer in terms of function rooms, menu packages and rooms.